Make your customer merry with Cadbury! 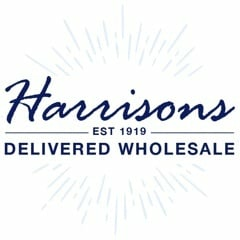 This entry was posted on January 30, 2019 by Harrisons. Cadbury is the quintessential English chocolate brand… you think of chocolate, and the iconic image of a purple Dairy Milk bar is not far behind in your thoughts! You’d have to try hard to find someone who isn’t a Cadbury fan - they have a chocolate bar suitable for all tastes, from simple but scrumptious Twirl and Wispa, to decadent Boost and Caramel… Stock Cadbury in your store and your shelves will be empty in no time! Cadbury’s origins can be traced all the way back to 1824, when John Cadbury opened a grocer’s shop in the centre of Birmingham. Available in his shop were cocoa and drinking chocolate – made by John with a pestle and mortar. Fast-forward to 1878, and the Cadbury brand had grown so much that they decided to move out of the cramped city centre and to the area that became Bournville. The Cadbury family wanted better conditions for their workers, compared to the squalid slums of inner city Birmingham, and so the spacious and pretty model village of Bournville was born! After that milestone, more and more came along! The all time favourite of Dairy Milk was launched in 1905 and proved to be hugely popular, becoming something of a megabrand. Bournville Dark chocolate followed in 1908, and Milk Tray in 1915. In more recent years, the Cadbury World visitor attraction was opened in 1990, and Cadbury became part of the Kraft Foods family in 2010. There truly is a Cadbury product suitable for all events – Mini Eggs and Creme Eggs for Easter, share bags of Twirl Bites and Giant Buttons perfect for enjoying whilst watching a film, and numerous delicious chocolate bars ideal for quelling sweet cravings, whatever the occasion! Cadbury was even voted the UK’s happiest brand in 2014, so you can rest assured that stocking Cadbury chocolate will make your customers very happy indeed. Plus, king George VI and Queen Elizabeth visited Bournville in 1939…. so if Cadbury is good enough for the royals, it’s good enough for your customers! Browse our range of classic Cadbury products today!